The assignees undertake the engagement to be available for ALIC on a daily basis for consulting services and, if needed, to ensure the physical presence for ALIC and/or third parties outside normal business hours, etc. The assignor undertakes the obligation to pay a weekly fee due on each Monday of the week, following the week it concerns. A tax audit in ALIC is performed, where the tax authorities confirm that all invoices were issued within the correct terms under the signed contracts, they are properly processed by the accountants of the assignees and the assignor, and are declared in the respective VAT returns submitted to tax office. Invoices are paid via bank transfers and the assignees possess with enough qualified staff for provision of the said services. The assignees declared that the contracts do not require the completion of the services to be supported by a formal document. The assigned tasks and cases were discussed during meetings, by phone and e-mails. As a result of the tax audit, the tax authorities concluded that no evidence was presented to ascertain the type, the quantity and the character of the provided services; in particular primary documents about worked-off hours, also a report on the way the cost of the services were formed, and therefore tax authorities refused ALIC the right of VAT credit on the received invoices from the assignees. The final tax act did not include direct claims that the deliveries of these services presented a tax fraud. Still, the Bulgarian court incudes in its inquiry to CJEU its doubts that a subscription contract of this kind can be treated as a “service delivery” under the meaning of the EU VAT directive, or only concretely performed consulting services can be treated as a delivery and cause rights for VAT credit. Should service fees be invoiced and VAT accrued for subscription services only for the periods, when actual services were provided. The above is a classic case of rejection of VAT credit rights by the National Revenue Agency (NRA) about invoices for consulting services. But the above questions evade the main one – were actually consulting services performed by the assignees to the assignor or not – but are related to the formally interpretation of contracts for subscription consulting services. This is exactly why, as seen from the decision of CJEU and on behalf of NRA, the asked questions by Varna Administrative Court were considered as inadmissible. 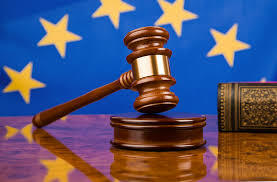 Regardless of the above, CJEU with a decision dated 3rd September 2015 concluded that in such cases of deliveries, which mainly requires the supplier to be constantly available at the disposal of its client (supporting the client with consulting services, for which the supplier receives fees according to preliminary agreed periodical schedule) should be considered as performed delivery during the period when the fee become due, regardless of the fact whether the supplier really provided consulting services to its client during the same period. I.e. CJEU pronounced that the tax event and the due tax occur with the expiry of the period, for which payment was agreed, regardless how many times (or if at all) the assignor really used the services of the assignees during the said period. This entry was posted in Tax-Insurance Procedure Code, Taxes and tagged appeals, tax audits, tax code, tax credit, taxes, VAT credit refusal. Bookmark the permalink.